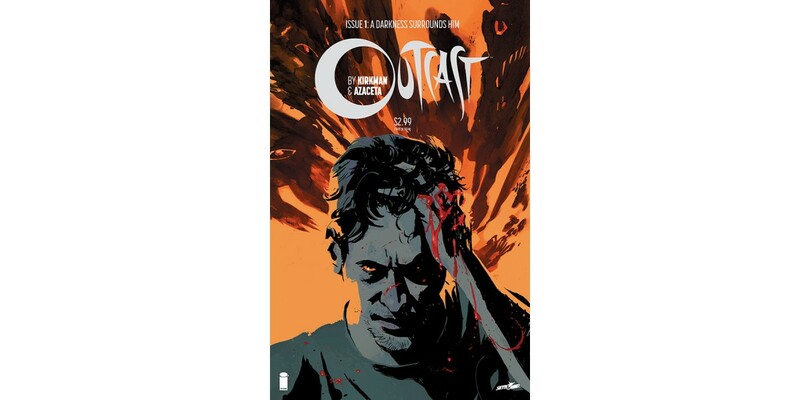 Robert Kirkman, creator of global entertainment phenomenon THE WALKING DEAD, and Paul Azaceta have summoned a new industry hit with OUTCAST BY KIRKMAN & AZACETA, the second printing of which has sold out immediately. In order to meet customer demand, Skybound/Image Comics will be sending this debut issue back to press for a 3rd printing. The demand for the series has grown at a breakneck pace, with this the second instant-sell-out of the first issue and is being fast-tracked to a third printing. For fans of digital editions, OUTCAST BY KIRKMAN & AZACETA #1 remains available for purchase across all platforms, including the Image Comics website (imagecomics.com), the official Image Comics iOS app, Comixology’s website (comixology.com), iOS, Android, and Google Play. This third printing of OUTCAST BY KIRKMAN & AZACETA (Diamond Code JUN148165) will be available on 8/20. OUTCAST BY KIRKMAN & AZACETA #3 (Diamond Code JUN140563) will be available on 8/20.